Cleco temporary fasteners hold multiple materials together tightly. This allows for sheet metal fabrication, placement, adjustment, and drilling prior to rivet installation. The Cleco fasteners we carry are U.S.A.-made to precise aerospace standards. They qualify for approval at all major aircraft plants and meet U.S. Government space exploration standards. They are color-coded for easy identification. No one has our inventory! When considering where to buy Cleco fasteners, know that The Yardstore stocks the widest variety of styles, sizes, and grip lengths in the industry. Our inventory is deeper than any other distributor in the USA. We stock spring, hex nut, wing nut, and cylindrical in all the popular sizes. We also have many of the less common types, such as metric. Our inventory of spring Cleco fasteners is so deep, that we guarantee we’ll have every size in stock! Depending on the style of Cleco pin you are using, we have a variety of tools to make installation and removal easier and quicker. 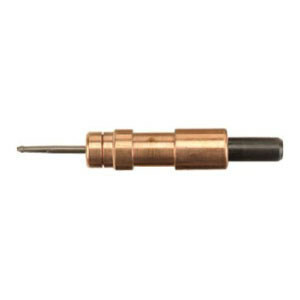 We have available manual tools such as pliers and pneumatic tools for all of our Cleco pins. Check out our Cleco installation and removal tools . Original price, applicable for orders of one to 999. Order directly on our website. Reduced price, (see catalog for detailed pricing) for orders of 1000 or more. Call us at 800-888-8991 (US and Canada), email us at orders@yardstore.com, or send a request through the website.